Occupational safety and health research and surveillance are essential for the prevention and control of injuries, illnesses and hazards that arise from the workplace. Research and surveillance can fill gaps in knowledge about where hazards exist and what interventions are effective at preventing workplace injuries, illnesses and fatalities. Workers’ compensation insurance records are a resource used for these primary prevention purposes. 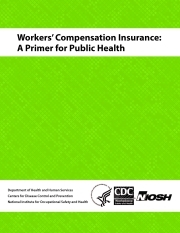 In addition, workers’ compensation records may be used for early detection of health outcomes in populations of workers which is part of secondary prevention. They may also be used to help identify effective medical treatment which is part of tertiary prevention.